This holiday season, I’m thankful for not needing to spend much time shopping for gifts! I know, how’d I get so lucky?? I really only shop for my husband (who’s getting nothing but coal, thanks to the 75″ TV he got on Black Friday) and a few friends (the spoiled ones,) anyway – everyone else usually gets a homemade cookie and candy platter, and I have yet to hear any complaints about my gift-giving prowess. 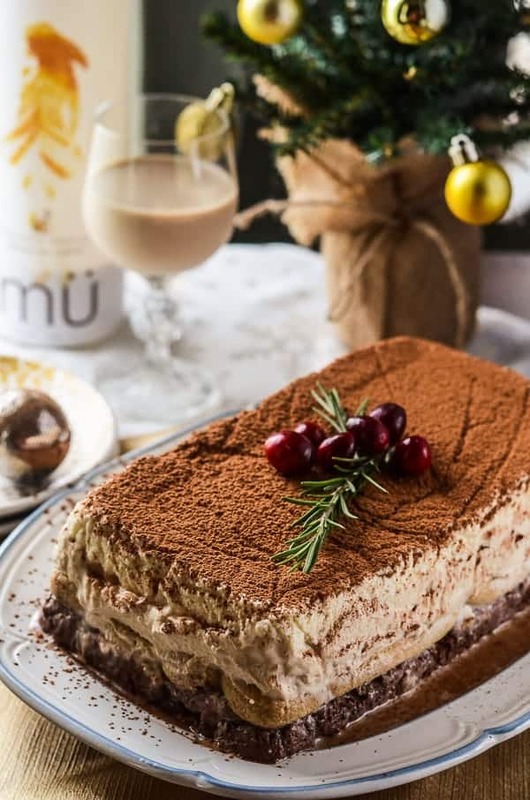 A couple of very special people might score an epic dessert, much like this Tipsy Tiramisu Terrine made with mü coffeehouse cocktails! Who’s feeling lucky?! 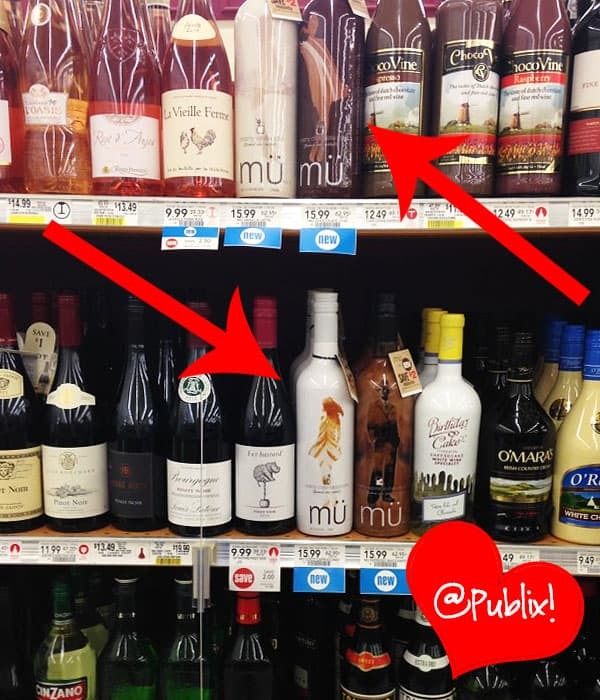 What is mü, you ask? mü coffeehouse cocktails are what happens when “Coffee Break Meets Happy Hour.” Available in four flavors – Creamy Vanilla Latte, Creamy Coco Cappuccino (the one featured in this recipe,) Creamy Chocolate Chai, and Creamy Espresso Macchiato (my fave! ), these creamy, smooth dessert drinks don’t mess around at 13.9% ALC! 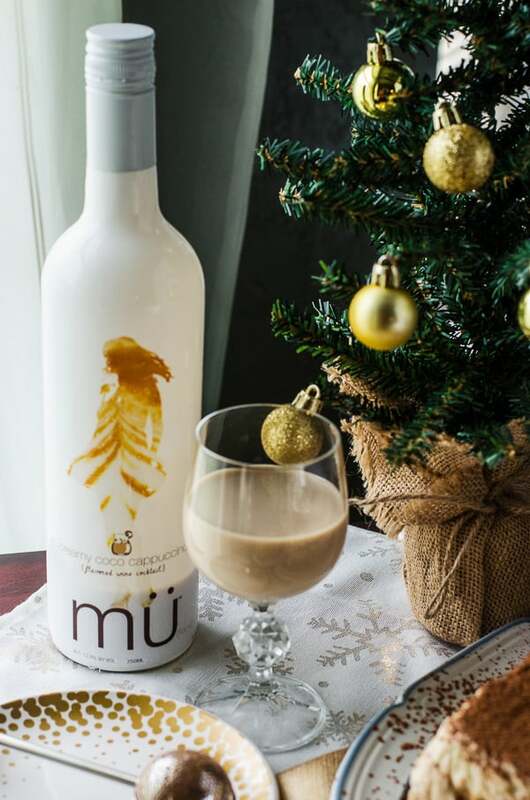 I dare say you could really shake up Sunday Brunch with mü. Move over, Mary and Mimosa! I found all four flavors at my local Publix (it’s also available at other retailers), and there was a nifty $2 off instant coupon around the bottle necks…so I grabbed a few of the flavors instead of just the one I used in this recipe. Or better yet, I’ll be attending a few holiday parties in the coming weeks, and, knowing my friends, it’s a safe bet they wouldn’t refuse a fancy-wrapped bottle as a hostess gift! This baby was a labor of love, for sure. 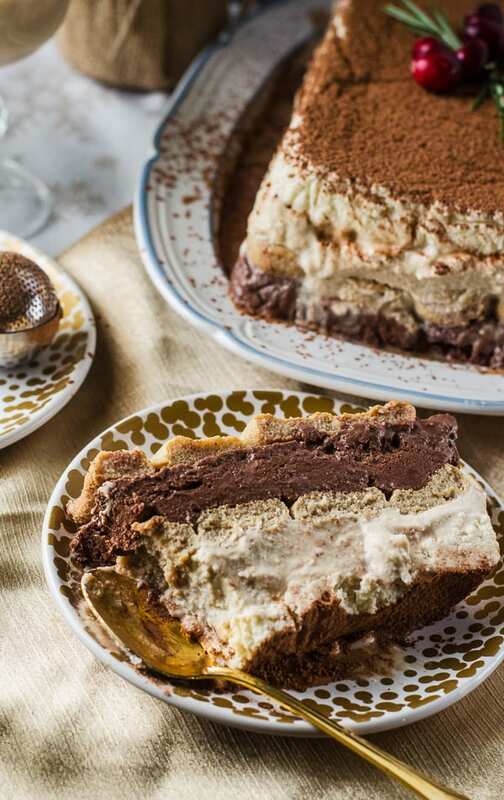 I adore classic Italian tiramisu, and I was really afraid to shake it up by turning it into a terrine (basically, an entree or dessert that’s layered in a loaf shape and eaten cold or frozen,) a dessert I’ve never made before. But, I’m no slouch when it comes to sweet mash-ups, and I was really digging the idea of ganache-based mousses, layered with the mü and espresso-soaked ladyfingers So, I wiped the doubt from my mind, poured myself a little bit of the Creamy Coco Cappucino over some crushed ice (it’s also great blended,) and set about the making of this holiday miracle. This coffee-lover’s sweet treat does not disappoint! 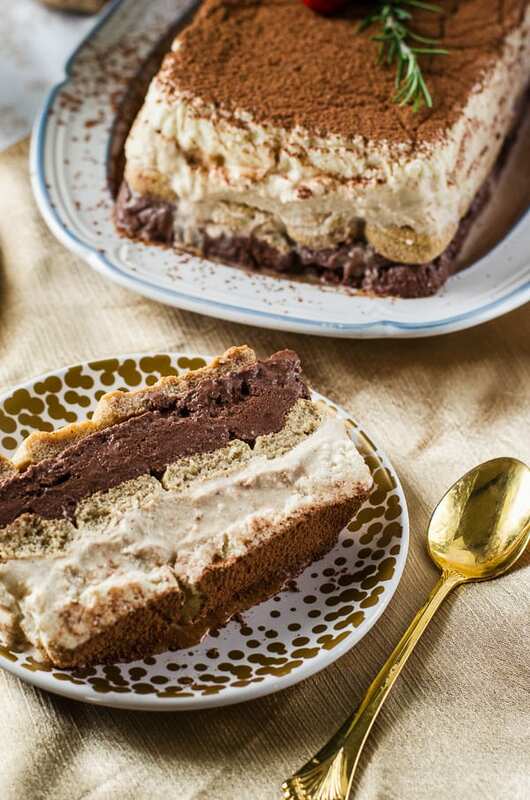 The addition of the mü to the ladyfingers adds a nice bite, and the diversity of the chocolate mousses play well with the mascarpone-based coffee mousse. It’s an incredibly rich dessert, so I’d bet you could stretch it pretty far at any holiday party, and no one would be left without a bite or two! Oh, and…the booze is strong with this one. Nerd drink humor. Get on board. A cocktail-enhanced twist on classic tiramisu – coffee, dark chocolate, and white chocolate mousses, layered with espresso and mü-soaked ladyfingers. It’s the ultimate grown-up dessert! Place white chocolate in a medium bowl. Heat cream over saucepan to an almost-simmer, or in microwave for 1-2 minutes. Pour over white chocolate and add vanilla, stirring until smooth. Cover loosely with plastic wrap and refrigerate about 3 hours. In a medium bowl, sprinkle espresso powder over cream and allow to sit for a few minutes, then whip it to medium peaks with a whisk-fitted hand mixer. In a separate bowl, cream the mascarpone and sugar for 2 minutes. Add the vanilla and mü, and continue to mix another 1-2 minutes until fluffy. Gently fold espresso whipped cream into mascarpone mixture. Cover loosely with plastic wrap and refrigerate about 3 hours. Place chocolate in a large bowl. Heat cream over saucepan to an almost-simmer, or in microwave for 1-2 minutes. Pour over chopped chocolate and stir until smooth. Cover loosely with plastic wrap and refrigerate with other layers, about 3 hours. Line a loaf pan with plastic wrap or aluminum foil, leaving some overhang above the edge of the pain. 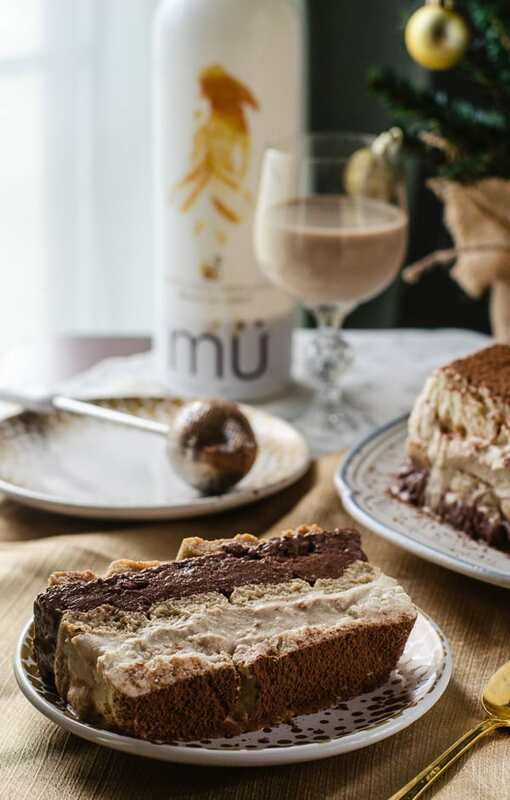 Combine mü and espresso in a heat-proof cup and pour in a shallow bowl or cake pan. Set aside. Using a spatula, spread white chocolate mousse evenly into the prepared pan. Freeze 10 minutes. Remove from freezer and spread prepared espresso mousse evenly on top of white chocolate layer. Dip 8 ladyfingers, one at a time, both sides for 2-3 seconds each (you want them to retain some firmness), into the espresso-mü mxture, and layer lengthwise on top of the espresso mousse. Freeze 10 minutes. Remove from freezer and, using a spatula, spread dark chocolate mousse evenly on top of ladyfinger layer. Repeat procedure for a second ladyfinger layer, set on top. Wrap completely with plastic wrap and refrigerate at least 3 hours, or freeze. When ready to serve, unwrap the pan and lift the inner wrap to unmold the terrine, then flip, ladyfinger side down, on a long serving plate. Remove the wrap, dust with cocoa powder, and garnish with cranberries and rosemary for a holiday flair. 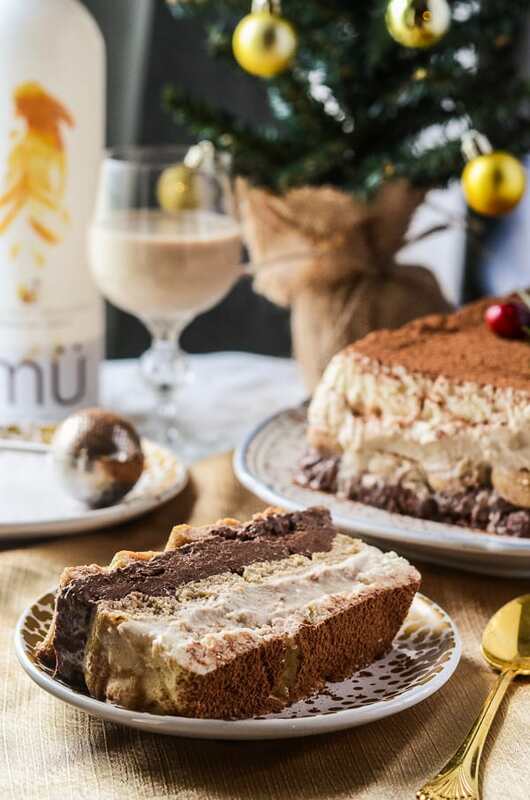 Stop by mü online to find even more delicious dessert and drink recipes.